Our aims were to provide a platform for citizen participation in developing UNESCO Biosphere Reserves as global models towards achieving the UN Sustainable Development Goals. In order to help create resilient and sustainable communities, to raise awareness of the Sustainable Development Goals and to disseminate the gathered lessons from throughout the Biosphere Reserve global network. This Community Insights Report has been made possible by the digital participation of 191 people from over 40 different countries. The project has reached over 50,000 people indirectly, via social media. It is therefore a truly collaborative effort and the results will be disseminated throughout our networks. 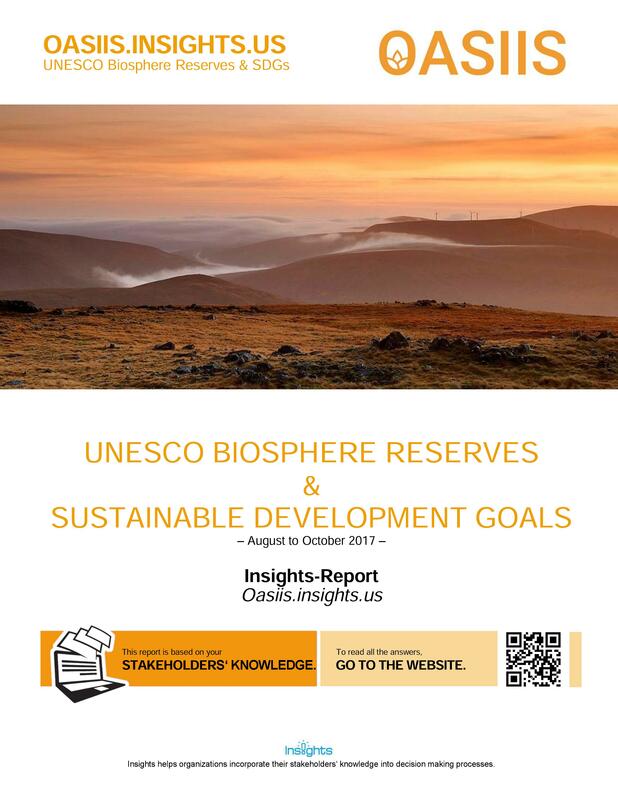 We request that you also forward this Community Insights Report to raise awareness of the SDGs, the potential of SDG centric businesses and to inform decision making within UNESCO’s World Network of Biosphere Reserves. UNESCO Biosphere Reserves as an enabling and inspiring space for businesses which align with the UN Sustainable Development Goals. BRs acting as facilitators rather than implementers of sustainable development, catalysing and leveraging opportunities for sustainable businesses. Harness the potential of UNESCO Biosphere Reserve designation and the skills and experience of citizens to facilitate, accelerate and incubate opportunities for local and global residents. Promote and raise the profile of citizens economic activities and initiatives under UNESCO Biosphere Reserve designation both locally and globally. In order to spread knowledge, access new markets, be immediately identifiable and connect with economic benefit whilst aligning with the UN Sustainable Development Goals. We hope that this Community Insights Report will increase opportunity for local citizens to benefit from UNESCO Biosphere Reserve designation and to unlock the potential it holds for economic development.